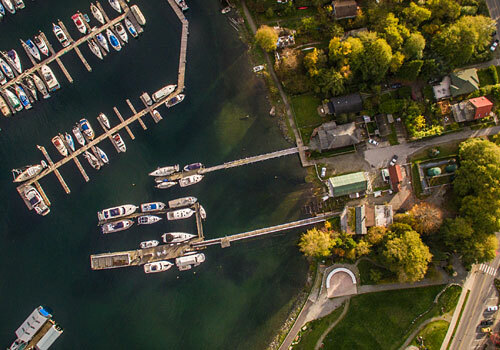 Located at the edge of Howe Sound and the Strait of Georgia, Gibsons Marina has 380 open (non-boathouse) moorage slips for vessels up to 85 feet long. Secure storage for kayaks and canoes is now available at the water’s edge. 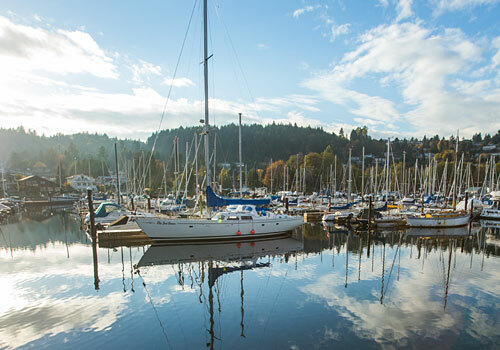 Gibsons Marina is centrally located in the heart of Gibsons Landing village, just steps away from restaurants, boutiques, galleries, museum, library, municipal hall, and other amenities. 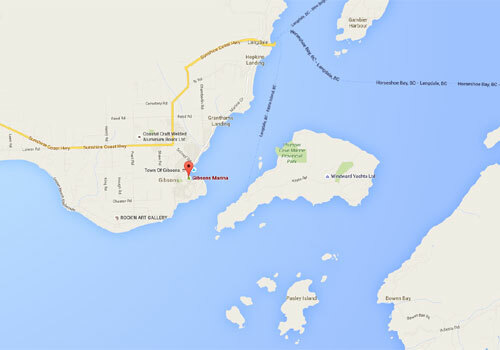 Our Marina Store features a good selection of quality gear, including Peetz reels and tackle handmade in BC; Stanfield’s fleece and wool blend underwear and socks, made in Canada; maps, charts, books and more. Click here to see our flyer for great gift ideas and deals in store now! 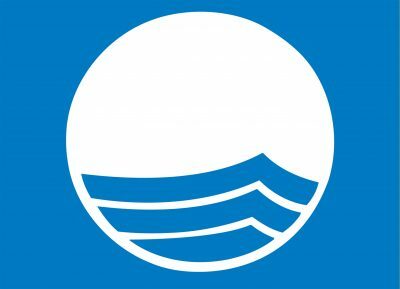 In May 2016, Gibsons Marina became the only marina on the western seaboard of North America to pass the rigorous screening and meet the international standards for ecological stewardship that entitles us to fly the fly the Blue Flag, awarded by the Foundation for Environmental Education and Environmental Defence Canada. Boaters – inquire at the office for info on how you may qualify to fly the Blue Flag on your vessel! Call, radio, or email us with your ETA; we provide dockside arrival and departure assistance. We look forward to welcoming you!